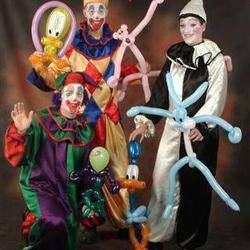 balloons face painting airbrush and glitter tattoos clowns fairies stilts. 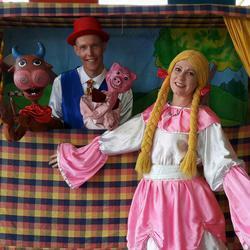 Professional Children's Entertainment for all occasions, private, corporate etc. 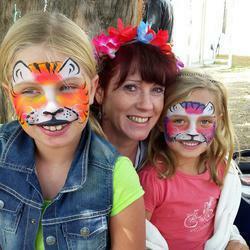 * Face Painters; accredited members of South African Face and Body Art Association we guarantee top quality workmanship. All of our face painters come in full costume. * Stilt Walkers: Entertainment of mammoth proportions with a variety of themed costumes. * Dance Shows;incorporating a great variety of musical styles and costumes from around the world. * Fairy/Princess/Mermaid/Rapunzel/Ice Princess/Superhero Parties and more. * Old Fashioned party games,treasure hunts etc. 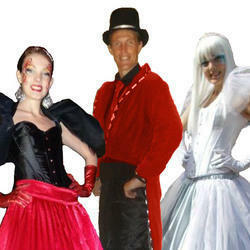 A wide selection of themed costumes please enquire. Our entertainers are volunteers with The Family Africa (NPO 040-430) and Miles of Smiles helps to support the charity work, so in hiring our entertainers you, our clients, have a part in the work we are doing.